A vertical voltmeter with a fixed coil having a coarse and fine winding with arrestment and a controlling magnet. It can be turned on a tripod. 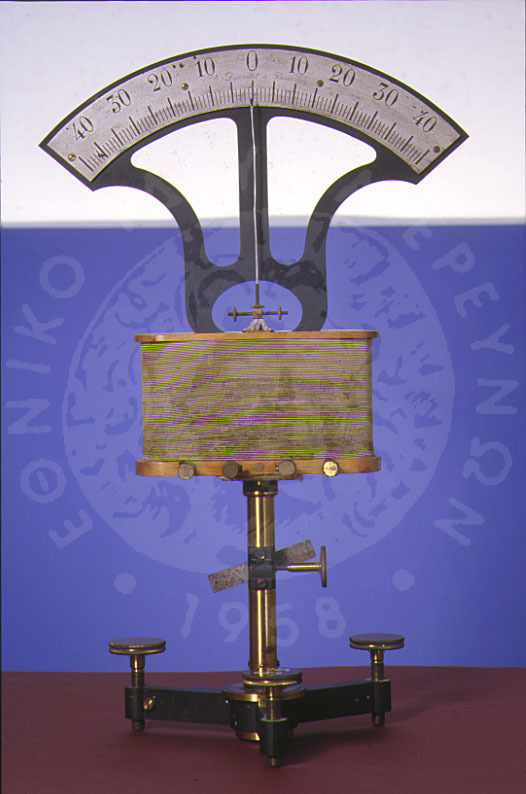 Galvanometers are sensitive instruments usually used for measuring small currents. They can be used as amperemeters or voltmeters. the instrument is balanced by turning the magnet over the coil.